While the changes to superannuation have seen a reduction in the level of tax concessions for some superannuants, they have also enabled SMSF practitioners to implement a range of positive strategies for clients. There has been much media and industry focus in recent times on the negative aspects of the super reforms that became law in late November 2016. 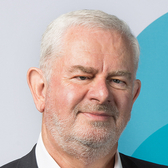 The reduction in the caps for concessional and non-concessional contributions, the prohibition on non-concessional contributions by individuals with more than $1.6m in super, and the complexities surrounding the pension transfer balance cap, and the capital gains tax relief, have all received plenty of air time. However, when the layers are peeled back, a much brighter picture emerges, at least for the vast majority of Australians. After all, the government’s motivation behind the superannuation reforms is to better target the tax concessions to those Australians who need them most. Certainly, there will be some people who are disadvantaged by the changes, but for most people, the reforms deliver some great opportunities for those able to take advantage of them. Even a reduction in the concessional and non-concessional contribution caps will only, at worst, disadvantage a very small portion of the population – possibly less than 5 per cent of Australians. Ignoring future indexation of contributions caps, an individual will still be able to make net concessional contributions of $212,500 over a 10-year period, and non-concessional contributions over that same period of $1,200,000 (9 years at $100,000 and $300,000 in the 10th year). This is more than most Australians will ever accumulate in super over a working lifetime. However, clients with SMSFs tend to be different to the norm. They are often more knowledgeable and, as the statistics tell us, they have significantly higher balances than members of APRA regulated funds. As a result, there is an incrementally greater chance that an SMSF member is more likely to be affected by the $1.6 million cap on retirement pension interests. By planning ahead, splitting super between partners, and retaining amounts in excess of $1.6 million in an accumulation account, as well as intelligent investing outside the superannuation system, those with significant assets can continue to invest these to fund their retirement in a highly tax effective manner. Even though the super reforms do not apply until 1 July 2017, there is work to be done now. Not only is there an opportunity for clients to maximise their contributions for the 2017 financial year, and particularly non-concessional contributions, but those individuals with more than $1.6 million in a pension account, they probably need to start thinking about reducing their pension account balances to $1.6 million by 30 June 2017, and deciding whether applying for CGT relief is in their best interest. A significant increase in the income threshold for the spouse superannuation tax offset, thereby making it more attractive to many taxpayers looking to make superannuation contributions for a qualifying spouse. The removal of the 10 per cent maximum employment income restriction for those wishing to claim a personal tax deduction for their contributions. For those unwilling, or unable to salary sacrifice, this represents a significant improvement. Although not coming into effect until 1 July 2018, the ability of individuals with less than $500,000 to carry forward the unused portion of their concessional contribution cap for up to five years provides a unique planning opportunity. Replacing the low income superannuation contribution with the low income superannuation tax offset ensures continuity of this valuable tax concession for low income earners, thereby ensuring that concessional contributions made to a superannuation fund are not taxed at a higher rate than their personal tax rate. These are all great opportunities for advisers to review their clients’ situation and long-term strategy. The superannuation reforms announced in the 2016 Budget certainly represent the most significant changes in a decade. With any change, there will always be winners and losers. In this case, those who are to be most adversely affected represent a very small portion of the population. However, in the general scheme of things, the changes only reinforce the central role of superannuation in retirement planning, the valuable tax concessions available and the value of professional strategic advice. Nobody is suggesting the changes have made super any simpler, and clients will greatly appreciate the knowledge and guidance provided.